Some of his recent books include Sea Power: The History and Geopolitics of the World’s Oceans (2017), The Accidental Admiral: A Sailor Takes Command at NATO (2014), and Command at Sea (2010, 6th edition). 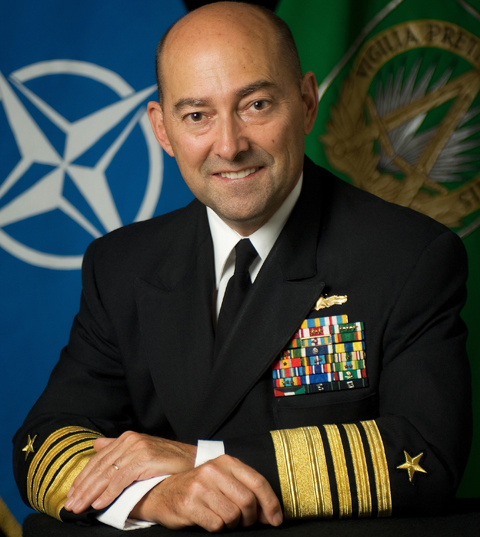 Stavridis is a frequent contributor to news programs on television and radio and his commentary appears in Foreign Policy and major newspapers. We are delighted that three of our recent Ph.D.s agreed to moderate the three panels: Seth Givens (historian at the U.S. Marine Corps Histories Division); Laura Seddelmeyer; and Steven Wills. The March 28-29 program opens with a Thursday evening keynote address, followed by three discussion panels on Friday from 10 a.m. to 5 p.m.
How do you register/sign up to attend the Baker Peace Conference? No registration or sign up necessary. Thursday evening keynote and all three panels are open to the public!